Air Science® sells a full range of forensic products for use in the field, in the laboratory, or in law enforcement offices. We even can provide mobile evidence protection and glove bags to be used onsite at a crime scene. 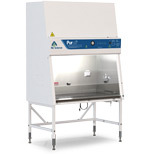 The Purair® SafeSEARCH ductless fume hoods are a series of high efficiency workstations designed to increase protection from drugs, chemical vapors and particulates during the packaging examination process. 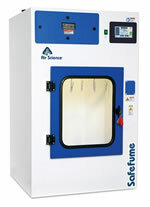 Safefume cyanoacrylate fuming chambers are designed to safely develop latent fingerprints using methylcyanoacrylate (CNA) vapor in a controlled environment. 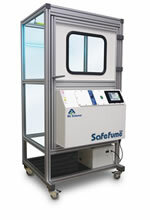 The Safefume 360 is used to develop latent prints from non-porous surfaces in a controlled and safe environment. Choose from small benchtop units to larger walk-in chambers. 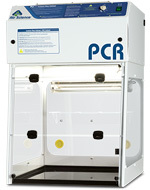 The Air Science Fuming Chamber uses cyanoacrylate fuming for latent print development on various surfaces. 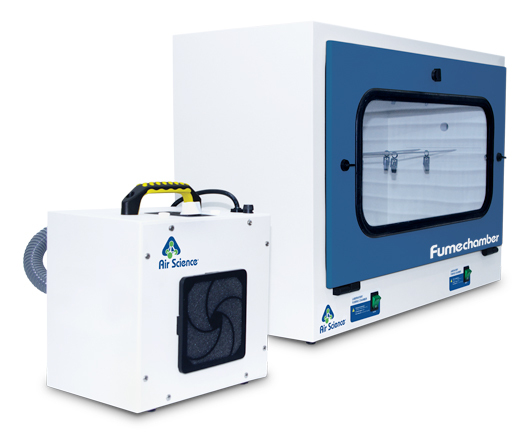 The fuming chamber incorporates the Air Science Fume Extraction unit coupled with a self-contained filtration system to safely purge the noxious fumes when the printing cycle is complete. The Air Science Evidence-Bench series of laboratory work tables is designed specifically for high volume processing of forensic evidence by multiple users. Professional design and construction features offer convenience during use, cleaning and maintenance. 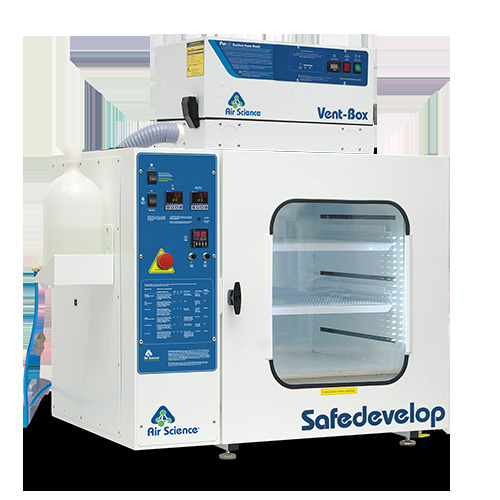 Safedevelop fingerprint development chambers are designed to safely develop latent fingerprints on porous surfaces using DFO, Ninhydrin, and other chemicals in a controlled environment for optimum effectiveness and safety where moisture, temperature, and development time are critical factors. UV-Box is a high-efficiency chamber designed to safely decontaminate contents while providing for a safe work environment for the operator. High intensity UV lamps destroy exposed surface DNA and bacteria. 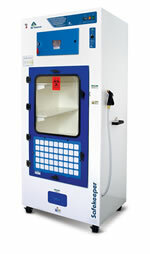 Drugkeeper storage cabinets can be used for short-term storage of hazardous chemicals and substances typically associated with drug investigations. With a HEPA main filter formulated to contain any particulates or biological material that might be present on swabs, Safeswab is used to safely dry evidence swabs while protecting them from cross-contamination. 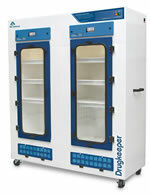 The Evidence Transporter is a special-purpose basic evidence transporter and storage cabinet designed to maintain the chain of custody in transport from the field to the laboratory, while allowing effective air-drying prior to evidence processing. 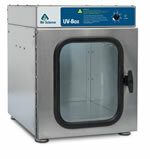 Air Science provides containment solutions to meet any analytical need. The Purair Flex glove bag is a portable, cost-effective flexible film isolator with more volume, easy setup and safety options. 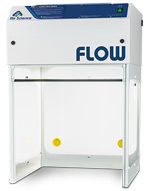 The Fume Box ductless enclosures are designed to protect the user from chemicals, vapors or non-toxic powders during low-volume chemical manipulations by effectively containing low concentrations of noxious fumes, vapors, or powders. Our forensic line is built to the same exacting standards as our other products and provides a host of options in terms of storage, processing, and cleaning capabilities. 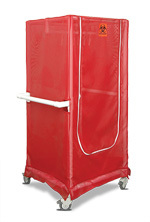 Review our forensic evidence benches, drying cabinets, storage cabinets, and fuming cabinets by clicking on the product pages links or reviewing our online catalog. Contact us for specific product inquiries.